Contest: Win the New ALTO Sport + Mountaineering Smart Watch! Win the New ALTO Sport + Mountaineering Smart Watch! 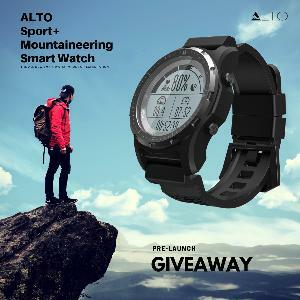 Prize: 3 Lucky Winners will win A New ALTO Sport + Mountaineering Smart Watch!